Summer is here! How many of us enjoy this season? Most of us keep fretting about the soaring temperatures, power cuts and water shortages. But were we like this during our childhood? In those days, summer meant vacationing at our grandparent’s place, playing for long hours, catching up with our cousins, gorging on mangoes and watermelons, gulping down glasses of sugarcane juice and buttermilk and sleeping on the terrace. In other words, summer evokes loads of fond memories, doesn’t it? Every summer vacation, my mother, brother and I would board a train, from whichever part of India we were in, to Chennai. My grandfather would be waiting eagerly for us at the railway station. My grandmother would have stocked the store room with all kinds of goodies. But we would be given all these only in the afternoon along with our milk. After lunch the entire household would have a short nap. My brother and I together would raid the store during this time. Thatha would always store water in the refrigerator. Those days, he used to store them in glass bottles and invariably every vacation, either me or my brother, would definitely break one of the bottles. Another ritual, which I clearly remember, is that my thatha used to get a packet of 4 biscuits everyday for tea, at office. He would save these for us. We would wait with impatience for him to come and handover the packet to us. It would have one cream biscuit and the others would be ordinary ones. Bro and I would quarrel over the cream biscuitJ. After all we did not get to eat cream biscuits everyday in those days. How wish I could relive those days! It feels really nice to get pampered. It’s the turn of my children now. We are vacationing at my Uncle’s house, and my children are getting pampered to the core by their great grandmother, grandparents, aunts and uncles. I’m sure they will also have lots to talk about their childhood summers when they grow up. 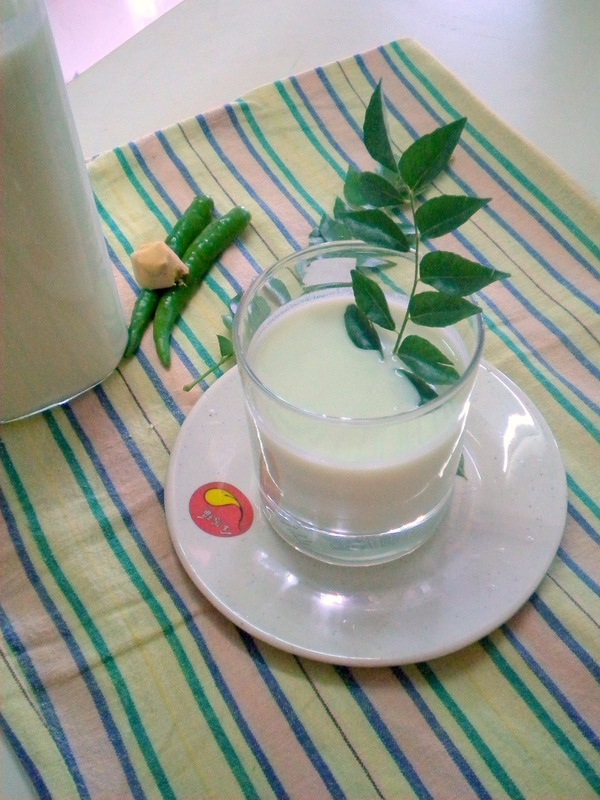 Now coming to today’s post, Sambhaaram or Spiced buttermilk is a natural and healthy thirst quencher. Perfect drink for the hot summer months. If you have lots of buttermilk, this would be the best way to use it up. 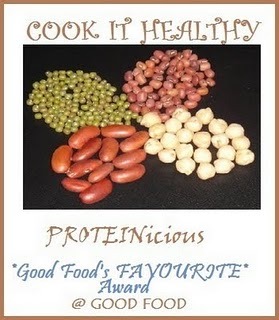 This can be prepared with lots of variations. I have shared my grandmother’s way of making it. So go ahead and enjoy this summer with this refreshing drink. Combine the buttermilk and water. Stir well. In a blender grind together ginger, curry leaves and green chilly with salt and about ¼ cup of water. Strain this and add it to the buttermilk. Mix well and serve chilled. Green chilly is totally optional; I generally avoid it as my kids don’t like it spicy. You could also temper the buttermilk with mustard, cumin, dried red chilly and asafetida. This gives a different taste and flavor. Very refreshing and healthy one too, childhood memories are the best, wish to go back in time..
A healthy drink and quite refreshing. nice memories too. U bought summer vacation memories to me ..Nice post. My everyday drink. I too cliked them and saved in my draft after coming here. Very cool and refreshing drink kaveri. Perfect thirst quencher. You bought back my childhood alive, beautifully recalled. Great post. You have made the Sambhaaram, the poor man's drink sound like nectar. Indeed it is, when you face the heat of Chennai or for that matter TN. I still remember at Madurai, we used to drink Gallons of it from stalls set up on the street by philanthropic people on the occasion of Meenakshi Thirukalyanam or simply the celestial marriage of Goddess Meenakshi. Fun to the last T. I don't ever think we can ever relive those moments. foot loose and fancy free. Have planned a visit to Madurai with my daughter for this years rituals. Hope Goddess Meenakshi accepts us. But I am not too sure, if they still serve 'Neer More', the Tamil equivalent of Sambaaram.Shall let you know. 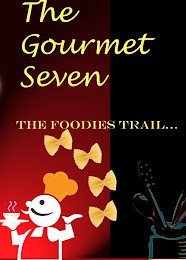 Anyway, Congrats are due to you for adding a lot of richness to Indian cooking, particularly Palakkad style. Great going indeed! May you be blessed by our grandmothers for keeping the recipes always alongwith the memories! refreshing for this hot summer. Kaveri, nothing can replace this awesome Sambharam. You took me back to the childhood with loads of fun, great memories that stay for ever.. Thanks for sending to Summer Splash! Sambharam looks perfect love this one, my grandma makes it more often. Thank you so much for dropping by my space and leaving such heart-warming comments. :) I will attach the widget and let you know. :) Sambharam is new to me and I absolutely adore how you have presented it. It looks delicious! 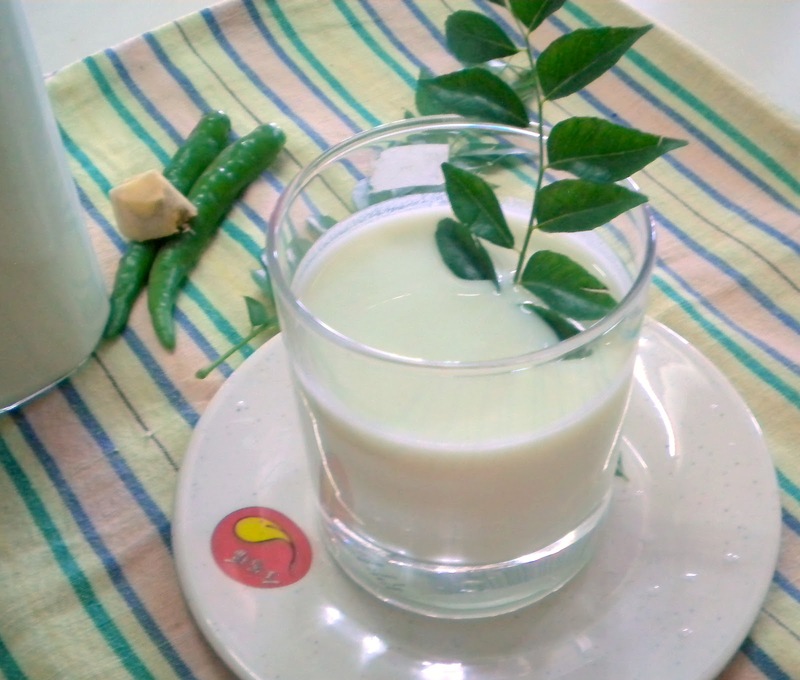 Refreshing and healthy buttermilk !! Refreshing and delicious drink.. looks perfect !! Very yummy n refreshing drink for summer. very refreshing and delicious summer drink ...my favourite.. 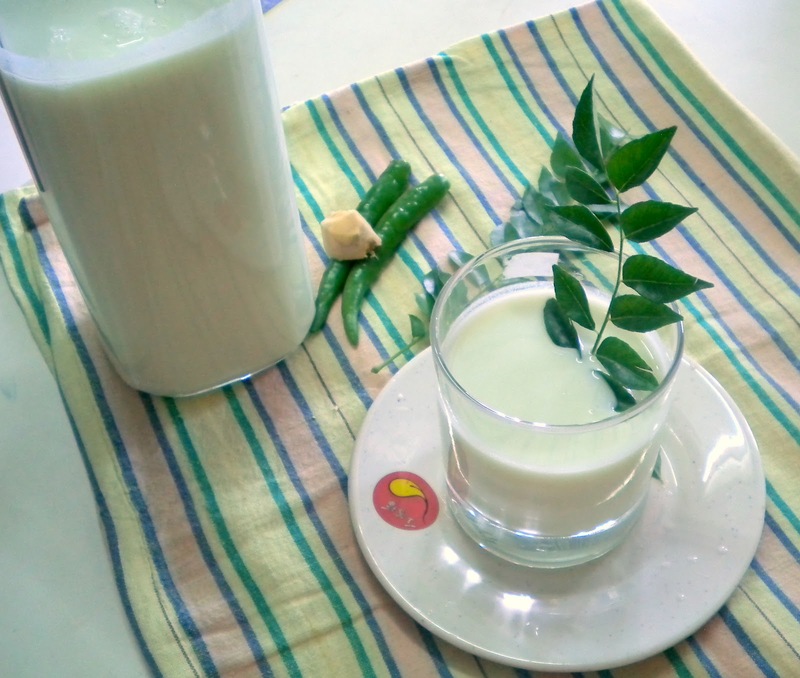 This is a great thirst quencher indeed, worth getting buttermilk just for it. Reading this post bought back so many fond memories,like you my summers used to be the same.Sambharam is one drink I can have any day or say everyday,I too make this your way,lovely presentation. I love this. Try adding a pinch of Jeera powder, it will be tastier.